The Doberman Pinscher, often known as the Dobie, the Dobe and the Doberman, was originally called a Thuringer Pinscher. 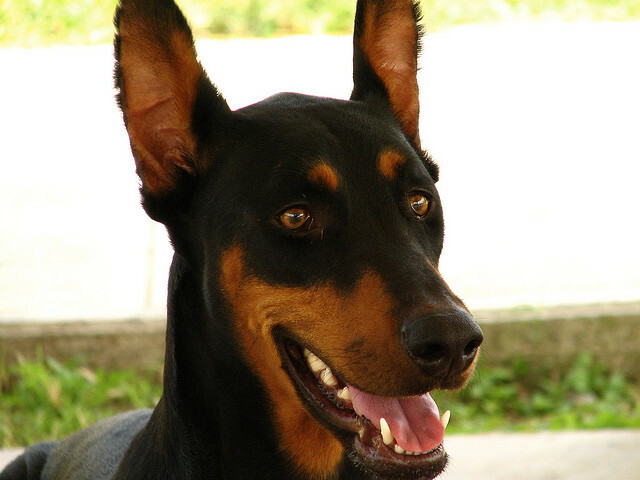 However, in 1899, the breed was given the name Dobermann Pinscher in honor of the founder of the breed, Louis Dobermann. 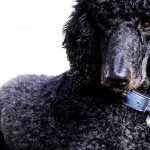 Today this breed is part of the American Kennel Club’s Working Group. 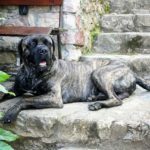 The fearless, alert, bold breed should not be shy or vicious, but they are naturally protective and in some cases, they may be a bit temperamental. 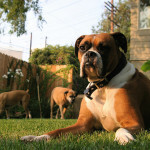 These large dogs are active, exuberant and beautiful and are excellent watchdogs. The origin of Doberman Pinschers traces all the way back to Thueringen, Germany. Karl Friedrich Louis Dobermann first developed the breed in the late 19th century. He created the breed by crossing different dogs to develop a breed of dogs that would be protective. As a tax collector, he wanted a dog with an intimidating appearance and enough aggression to keep him protected as he did his job. 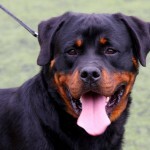 While Dobermann didn’t keep records on the different dogs he bred to create the Doberman Pinscher, most experts believe that this breed traces back to mixed breed, shorthaired shepherd dogs, the Rottweiler, the German Pinscher and the Black and Tan Terrier. In 1899, the breed became stable and in 1900, the German Kennel Club officially recognized the Doberman Pinscher. 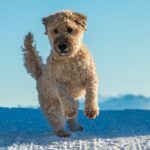 Within a couple decades, these dogs were found all over the world, including various European countries, South Africa, the United States and Russia. Today the breed can be found all across the world. 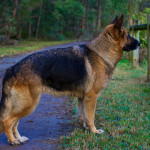 The reputation of the breed’s ferocity preceded it around the world and the dogs are still popular as guard dogs, therapy dogs and even criminal tracking. Doberman Pinschers have a proud, elegant appearance that gives them a noble look. 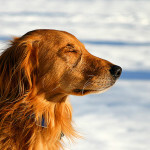 They have a sleek, short coat that comes in blue and tan, red and tan or black and tan. That short coat shows off the breed’s athletic build. 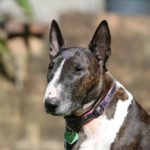 This breed only has a slight undercoat around the neck area. 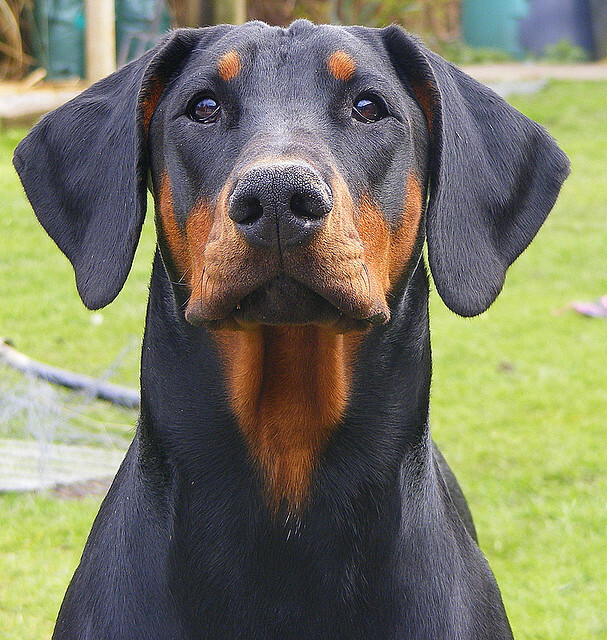 Rust markings are usually seen above the eye, on the feet, chest, legs, muzzle and throat of a Dobie. The head of a Doberman Pinscher is narrow and long and they possess almond-shape, thoughtful, dark eyes. Dobermans always have their tail docked, but the ears can be natural or cropped, depending on the preference of the owner. 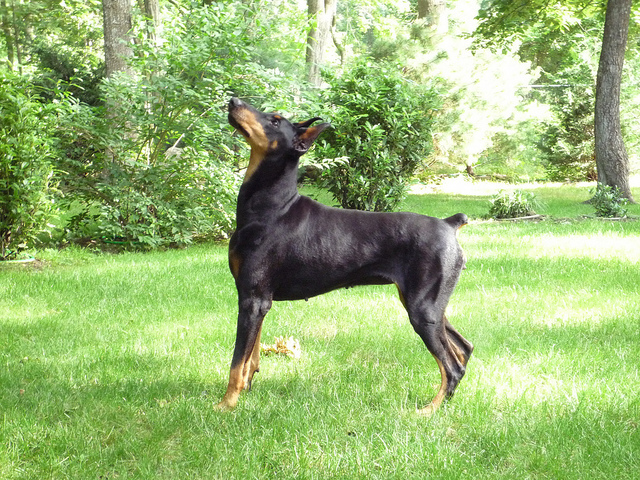 The Dobie should have a body that is square and well-proportioned and their gait should be smooth and graceful. The male Doberman Pinscher should stand at 26-28 inches high at their withers and females should be 24-26 inches high. While the males generally weigh from 70-75 pounds, females are a bit smaller and only weigh between 60-65 pounds. 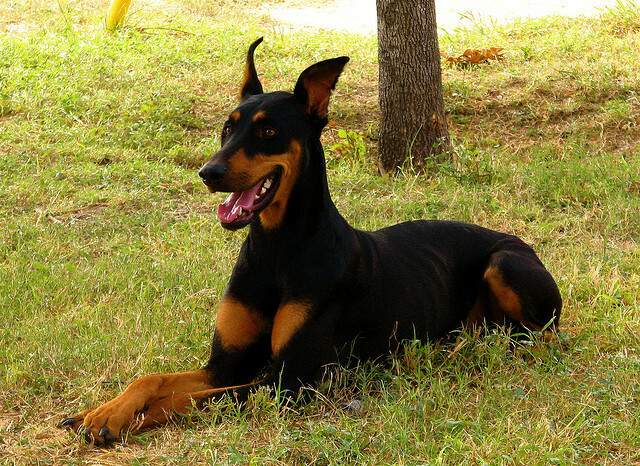 The temperament of the Doberman Pinscher can vary, depending on the individual dog. Some may be reserved while others are friendly and outgoing. However, all Dobermans are loyal and steadfast companions and are a lifelong friend to their owner. They are wonderful guard dogs and are fearless, even when presented with danger. While they make excellent guard dogs, they will not attack. Generally, they will pin intruders to a corner or wall until someone arrives to deal with the intruder instead of attacking the intruder. Since Doberman Pinschers prefer working with people, they may develop separation anxiety if they spend a lot of time away from their owner. 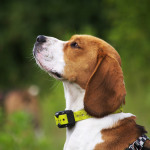 Lack of activity may exacerbate the problem and may result in destructive chewing or excessive barking. Dobermans are naturally very protective of their owner and their home, so early socialization is essential when raising this breed. 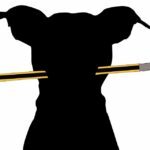 Since the breed varies so much, some Dobermans may do well with training while others may be hardheaded and stubborn. Training a Dobie requires firm, strong leadership, gentleness and consistency. Harsh treatment only makes Doberman Pinscher shut down. After the trainer establishes leadership, most Dobermans will do well with advanced training, since they love working with people. The Doberman Pinscher is very large and has a high energy level, which means these dogs require a lot of exercise. 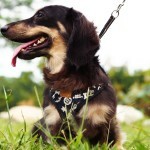 They are very intelligent and get bored very easily, so owners need to vary their activities. They do well with outdoor activities, such as biking, running, walking, hiking and more. Along with physical activity, this breed requires mental stimulation too. Since the Doberman Pinscher has such a short coat, they are very low maintenance and require little grooming. Dobies are clean and do not usually have a strong dog odor. Even though they have short hair, they shed all the time, so it is important to brush the coat at minimum of once weekly to control loose, shedding hair. Generally, outdoor Dobermans will wear down their nails naturally, but indoor dogs may need to have nail clippings monthly. When it comes to bathing, Doberman Pinschers only need to be bathed every 2-3 months unless they get dirty. Doberman Pinschers have worked in a variety of roles, since they learn fast and work well with people. They are often used for guard, military and police work. In fact, one famous war dog saved the lives of many United States Marines back in World War II by warning them of Japanese soldiers. This war dog, Kurt A Doberman went on to become the very first k-9 casualty. 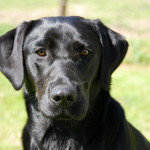 This breed has also been used for criminal tracking and hunting. Dobermans are bred to work with people, so they work well on search and rescue teams and as medical dogs. Some are even used as therapy dogs today. I adopted a male Doberman just over 1 yr ago, approx. 2 years old. He is bright, we attended obedience class and did well. The problem is he gets anxiety around other dogs, especially large. He attempted a couple bites ‘nips’ at class but I had him under control. I own 2 small female dogs that he does well with, although it took a bit of adjustment time with 1 of them. 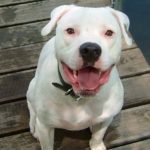 I was told by rescue that he (Wilson) was chained to a tree outside, therefore, little if any socialization with other dogs prior to adoption. He walks well on leash with neighbor dog but put him in yard with her and a fight incurred, I had a muzzle on him so there were no injuries. 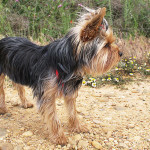 I would love to see him romp and play with other dogs one day soon, he has a very playful temperament.